From Michelangelo Antonioni comes one of the most divisive films of the 20th Century where it’s a film that people either love or hate. 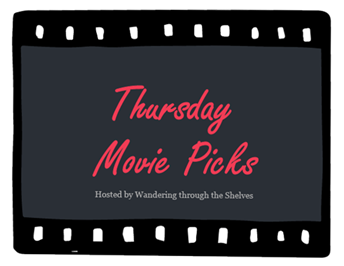 It revolves around a young woman who is an assistant for a corporate executive as she meets a young man who had stolen a small plane where they go to Zabriskie Point and make love. It’s a film that doesn’t have much of a plot but then again, Antonioni is known for making films with very little plot as it’s more focused on visuals. Still, it’s a fascinating film that play into its locations and Antonioni’s disdain towards modernism. The first of what was supposed to be a thematic trilogy set in fictional American towns in the first half of the 20th Century, Lars von Trier’s film about a woman hiding in a town from mobsters where this town would hide her but she would have to do work to return the favor. Starring Nicole Kidman in a film filled with a massive ensemble that include Paul Bettany, Ben Gazzara, Jeremy Davies, Stellan Skarsgard, Patricia Clarkson, Lauren Bacall, Udo Kier, and James Caan. It’s a strange experimental film that play into a town hiding a woman and take advantage of her by abusing her and almost turning her into a slave. From Alexander Payne comes this film about a man who walks to Nebraska to receive what he believes is money that he won. Taking his son with him, the film is a road trip of sorts that play into a family trying to deal with relatives as well as the possibility of getting this money. 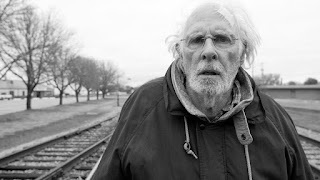 Featuring Bruce Dern in a career-defining performance along with a hilarious supporting performance from June Squibb as his wife. It’s a film that play a world that is simple and a man wanting to do something that would give his life some meaning. Nebraska really surprised me. I wasn't expecting to like that film as much as I did. I hated Dogville but I can't do Von Trier. I haven't heard of your first pick. 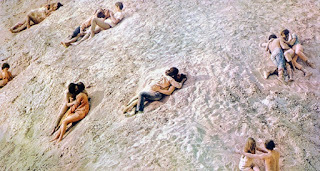 Put me firmly in the hate camp for Zabriskie Point! I bristle just thinking about that total waste of film!! I've never seen Dogville because of my resistance to Kidman but that supporting cast is not to be ignored so maybe someday. I always forget about Nebraska when I'm looking for something to watch but I do want to see it. I went for a theme within the theme for mine. Shanghai Express (1932)- In Peking, China, during a civil war, British Capt. Donald Harvey (Clive Brook) meets his old flame Magdalen (Marlene Dietrich) and learns with dismay that she has become a prostitute known as Shanghai Lily. Both are traveling to Shanghai via train, and while they grow reacquainted, they remain unaware that they are traveling with spy and rebel army leader Henry Chang (Warner Oland). On Chang's orders, his forces attack the train, terrorize the passengers and hold Donald hostage. Full of atmospheric cinematography and amazing costumes with both Dietrich and Anna May Wong extraordinary. The Shanghai Gesture (1941)-Weird hothouse drama about gambling house/brothel boss Mother Gin Sling (Ona Munson)-originally Mother Goddamn in the stage play this was based on-who out of spite degrades her British ex-lover's (Walter Huston) daughter (Gene Tierney). Last completed American film of famously difficult and exorbitant director Erich Von Stroheim. The Shanghai Story (1954)-When a police raid in search of a Communist spy strands all westerners within a hotel in post-WW2 Shanghai disillusioned American Dr. Dan Maynard (Edmond O'Brien) initially clashes the Tangier-born Rita King (Ruth Roman). But they are drawn together as Rita attempts to use her connection to new police chief, Colonel Zorek (Marvin Miller) to outwit their interrogators and armed guards to help their group flee to safety. Standard adventure is boosted by the strength of the performances of its two lead performers. I don't know Nebraska, but I can't believe I didn't think of the first two films myself. Such great picks! I still haven't seen Nebraska. It didn't appeal to me at all but so many people loved it that I'm thinking I really ought to give it a go! I've never heard of your first pick and frankly I'm not sure I'd be interested in seeing it. Anyways, I loved Nebraska and I'm seeing Dogville tomorrow for the first time. @Brittani-I'm not sure you will enjoy Zabriskie Point as that's a film that doesn't have much plot. Then again, much of Antonioni's work doesn't have much plot. @joel65913-Dogville I'm not sure you will not like as it's a very avant-garde kind of film. See Nebraska. @Becca-Thank you. Go see Nebraska. @Allie Adkins-Nebraska is not the kind of film many would expect yet it is funny and full of heart. @Birgit-Watch Dogville for the cast and subject matter but you might be a little taken aback by its presentation. Unless you're into Michelangelo Antonioni, Zabriskie Point is one of those films that people either love or hate. @Sonia-I read your review of Dogville and glad you loved it.